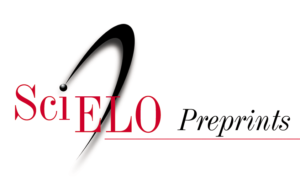 The SciELO Program is setting in motion a basic plan for the development and operation of a preprints server – SciELO Preprints. The main objective is to contribute to speeding up the availability of research results and to position the scholarly communications from the countries that participate in the SciELO Network, and particularly its journals, in line with the advances and growing importance of preprints publication internationally. What is a preprint? What is a preprint server or repository? “A preprint is a complete scientific manuscript that is uploaded by the authors to a public server. The preprint contains complete data and methodologies; it is often the same manuscript being submitted to a journal (…). After a brief quality-control inspection to ensure that the work is scientific in nature, the author’s manuscript is posted within a day or so on the Web without peer review and can be viewed without charge by anyone in the world. Based upon feedback and/or new data, new versions of your preprint can be submitted; however, prior preprint versions are also retained. Preprints servers allow scientists to directly control the dissemination of their work to the world-wide scientific community. In most cases, the same work posted as preprint also is submitted for peer review at a journal. Thus, preprints (rapid, but not validated through peer-review) and journal publication (slow, but providing validation using peer-review) work in parallel as a communication system for scientific research”. Preprints are stored in a computer environment with a number of associated services, such as uploading manuscripts, acceptance or rejection controls, creating new versions, annotating, submission to journals, classification and presentation by topics, searching for different items, links, etc. The management and operation of storage and associated services is called a preprint server or repository. In this post, we will use the name server. The servers are operated by software systems. There are several system options available today. SciELO is in the process of implementing one of them. The adoption of scholarly communication via preprints is aimed at progressively enriching the set of functions and regular activities of the SciELO Network that are focused on promoting the continuous improvement of the management, operation and editorial quality of the journals it indexes and publishes. The achievement of this goal involves alignment with the international state of the art, however, keeping the conditions and priorities of the research communities served by the journals as a reference. In this context, seeking to speed up the editing and publication process of articles is a central issue that SciELO Brazil has been promoting by minimizing the time to indexing journals, the publication of individual articles ahead of print, and, as a priority, through continuous publication (as opposed to waiting until an issue is completed). The adoption of preprints, therefore, is a natural step. SciELO Preprints is expected to be fully operational by mid-2018. Until then, the modus operandi of the preprint server will be carefully and cooperatively constructed and promoted, progressively involving all the national SciELO collections and the journals they index. The development of SciELO Preprints will follow the same three principles that have guided the SciELO Program and Network since its inception: network operation, systematic quality control and strengthening of national scientific publishing capacities and infrastructures in line with the international state of the art. Networking is a tradition in Latin American information systems, which facilitates cooperation and exchange of information and knowledge, rationalizes the work through common methodologies and technologies, promotes the creation of scale that contributes to lower operating costs and enhances sustainability. Thus, as an integral part of the SciELO Network, SciELO Preprints projects itself as a global public good. The principle of quality control translates into a set of essential functions of continuous improvement of the journals that cover the policies, the processes and boards of editorial management. As of 2013, these are part of the lines of action of professionalization, internationalization and financial sustainability. The third principle, strengthening national scientific publishing capacities, positions the operation of SciELO as an integral part of national research infrastructures. The basic plan of the preprints server provides three areas of activity in which specific advances and results are expected over the next 18 months until we reach the appropriate conditions for the regular operation of SciELO Preprints. The first activity entails the dissemination, promotion and organization of debates on the adoption of preprints as an integral part of contemporary scholarly communication, as well as improvements to the SciELO Preprints proposal. This activity will take place throughout the next 2 to 3 years and will probably follow the classic steps of adopting innovations. Through the SciELO in Perspective blog we have been sharing the recent advances that have been occurring in the preprints movement that is led by research communities of various disciplines and thematic areas. As already reported and analyzed in detail for the Life Sciences under the ASAPbio program, this field of activity involves three constituencies in the research community – authors, funding agencies and journals. As a result of discussions with these constituencies, specific features in our plan may be added or modified. A central issue in the debate on the development of SciELO Preprints is how to guide its adoption as part of a system that favors strengthening scholarly communication and journals. The operation of the preprints server as an integral part of the SciELO Network will contribute to avoiding the fragmentation of the scholarly communication of the network countries and will facilitate interoperability and cooperation between the different components of the system in order to minimize disturbances and risks to the proper running of journals, national collections, national systems supporting scholarly communication and assessment systems of institutions and research groups, and particularly, the journals. It is worth remembering that authors and journals in Physics, Mathematics, Computer Sciences and other fields have lived and worked with preprints for years, having as reference the arXiv server, which has been operating since 1991 and has made available a monthly average of 9,500 preprints in 2016, more than 300 per day. It is estimated that 80% of the preprints deposited in arXiv are also submitted to, assessed by, and published in journals. In the field of Life Sciences, the adoption of preprints by individual publishers and journals has gained remarkable momentum and has been overcoming the area’s historical resistance to preprints with the bioRxiv server operation, the growing and widespread acceptance of the ASAPbio program, and the perception of the viability and advantages of preprints as an integral component of scholarly communication. A growing number of publishers and journals already accept submissions of manuscripts deposited on preprints servers, as revealed by the follow-up list available at Wikipedia2. An innovative aspect of preprints is their availability in open access. If preprints are to be adopted universally, they will be a decisive contribution to universal open access. In the case of SciELO, the final versions evaluated and published by the journals will also be made available in open access, which will not occur with commercial journals. In the SciELO context, therefore, the function of preprints will primarily be the speeding up of scholarly communication, and not so much its openness, as that is already there. The second field of activity in the adoption of preprints comprises the definition, implementation and refinement of the structures that will inform and support the governance and operation of SciELO Preprints in terms of methodology and technology. This activity will also involve studies, debates, tests and prototyping related to the processes of sending, accepting and making preprints available in the server and submitting them to journals. The expectation is that most of the manuscripts posted as preprints will be evaluated and published by SciELO journals. A key requirement in this area is to ensure the compatibility and interoperability of SciELO Preprints with the preprints servers and indexers considered and implemented elsewhere in the world. Thus, SciELO Preprints will integrate the spaces, products, services and solutions that have shaped the preprint movement. In particular, SciELO Preprints will contribute to an organized flow of potentially acceptable preprints by the indexed journals that report the research from SciELO Network countries. In addition to falling into line with the international state of the art, SciELO Preprints will provide solutions focused on the specific needs and characteristics of the studies and research communities of the countries that participate in the SciELO Network, such as multilingualism, recognition of the relevance of research oriented to local, national and regional issues and policies, idiosyncrasies and traditions of the different disciplines, their financing and evaluation, and use of results in education, professional practices, industry, public policies and the general public. In this sense, although the technological operational platform of the server is centralized, the management and control of the preprints flow will be decentralized and should rely on the active participation of the national research communities, and especially the editors of SciELO journals. Another aspect of SciELO Preprints, following the modus operandi of the national SciELO journal collections, will be the coverage of all disciplines and thematic areas, which will bring enormous advantages, though also some challenges. The third field of activity of the development of SciELO Preprints encompasses the actual operational implementation. In this field, the plan foresees the implementation of pilot projects, a mechanism that SciELO normally follows in adopting innovations, which allows experimentation with ideas and technologies, as well as prototyping processes in the search for the most cost-effective solutions. This practice also allows the gradual adoption of innovations, which, in the case of preprints, may involve a different pace between thematic areas and between national collections. However, regardless of the rhythm adopted, the basic plan in each implementation process considers three main steps in the construction and improvement of the SciELO Preprints modus operandi: (a) internal tests of the modus operandi proposal; (b) pilot operation with the participation of a set of journals from one or more thematic areas of one or more collections; and (c) regular operation of SciELO Preprints. Each new instant of these stages will benefit from the improvements produced by previous applications. As stated earlier, these steps embody the cooperative construction of the SciELO Preprints modus operandi. The three fields of activity previously mentioned, in which the managers and operators of the SciELO Program and Network will cooperate – promotion of the preprints concept, definition of a suitable solution for the SciELO Network and experimental implementation until a regular modus operandi is reached – are projected as areas of interaction between experimentation and theorization, between the adoption of imported and autochthonous solutions and between local, national, regional and international impacts. This is a great challenge, the overcoming of which begins with the implementation of the idea and the basic proposal and cooperative management based on continuous learning.